A full analysis of your battery’s condition, state of charge and ability to hold a charge. An inspection and analysis of the car’s starting and charging system, including the starter, alternator and voltage regulator. Clean the battery’s connection and cable ends, as well as an application of corrosion protection. Installation of a new battery if purchased from Kwik Kar. 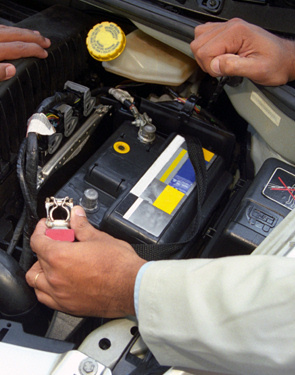 We recommend battery maintenance every 12,000 miles or 12 months.